Wag! 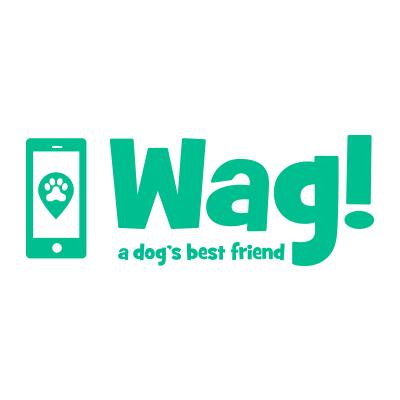 is the #1 dog walking and dog sitting app for busy dog owners. Wag! 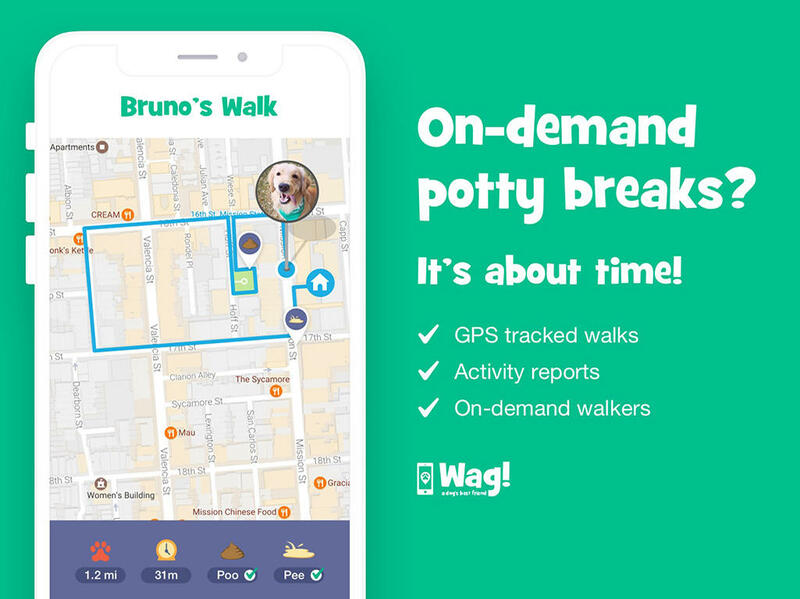 makes dog ownership easier by connecting dog owners with dog lovers in their community they can hire on-demand for dog walking, dog sitting, or dog boarding services 7-days a week. Book a dog walk at your convenience on-demand, scheduled, or on a recurring basis. Wag! provides peace of mind with live GPS tracking and reports after every walk that let you know whether your dog took care of its business. 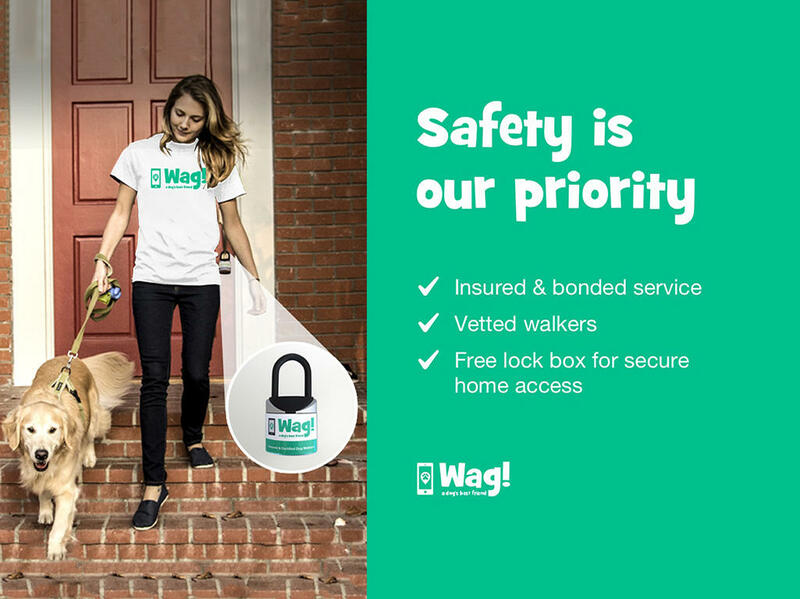 Rest easy knowing your dog is in good care with a certified Wag! pet care professional. 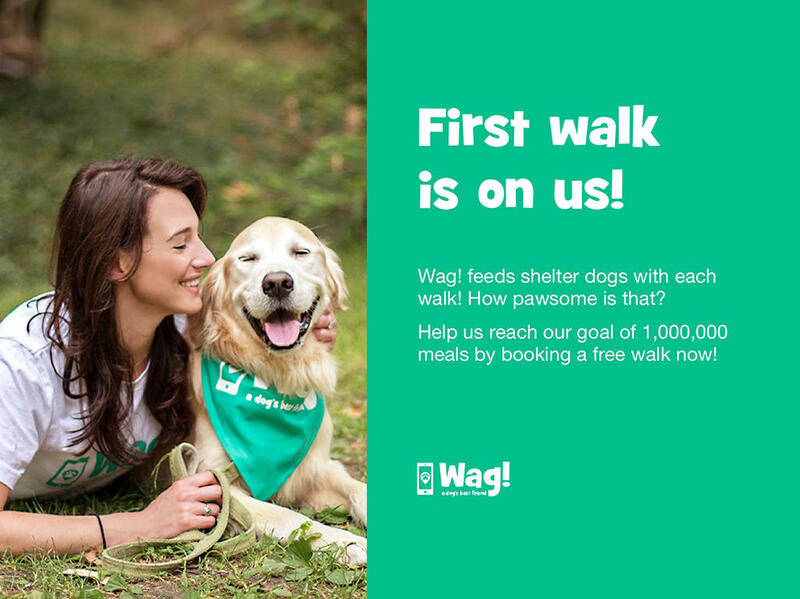 Dog walkers and dog sitters on Wag! have passed a rigorous screening process to become Wag! Certified and all Wag! dog care services are bonded and covered by premium pet insurance.